Are you finding the best camera smartphones? If yes, then this post will help you to get the perfect smartphone with the best camera. There are a lot of smartphones available in the market. It’s not easy to select the perfect one for everyone. That’s why I have made this list for you. Let’s have a look of these top 5 phones. Before move ahead, Let me ask you a question. Are you looking for a budget smartphone with a good camera? Are you finding the smartphone which will give value for money? 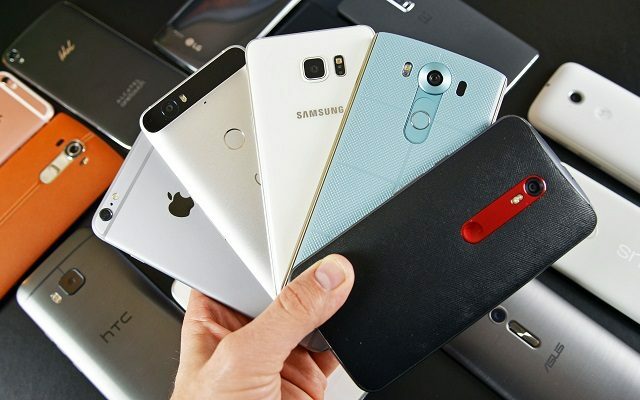 If so, do check out the list of best budget smartphone under Rs.15000. Here you will get the complete list of the best budget phone with pros and cons. Now, let me talk about the smartphone which has a good camera. The Google Pixel XL is the best camera smartphone you can have, in my opinion. It has a 12 MP front-facing camera and an 8 MP front-facing camera. The phone has an exceptional dynamic range and detail. In addition, the Depth Mode and Bokeh Effects are done very well. Regarding video recording, it uses Electrical Image Stabilization to stable the video. But unfortunately, it does not have an Optical Image Stabilization. Also, the autofocusing in videos is just a bit slow. It has an aperture of f/2.0. However, the big 1.5-micron lens lets more light in to make low-light photos great. Overall, it is the best camera smartphone out there. The iPhone 7 Plus also has an amazing camera. The primary cameras are dual 12 MP and the front camera is 7 MP. Also, there is a QLED flash on the primary camera. The camera produces the best natural colors among the phones in the list. It also has a portrait mode that detects and blurs the background. It gives the photo a feel that it is taken in a DSLR. The only flaw is that it sometimes makes the color look just a bit dull. However, it is just a minor con. The Samsung Galaxy S8 is another great choice when it comes to cameras. It has a 12 MP primary camera and an 8 MP front camera. In addition, the front camera has a wide-angle lens. The lens makes selfies even better as you can catch more area with it. Both the cameras have the warmest color reproduction feature among the phones in the list. However, this feature can sometimes be a downside as well. That is because sometimes it makes the color unnecessarily warmer. As a result, it looks like a painting. But by no means, it is a bad camera. It is for sure one of the best. Also check out: Virtual Sixaxis Controller for your smartphone – Complete guide! HTC U11 surprisingly have an excellent camera. Earlier HTC phones did not have a good camera. That is not the case in this one. The primary camera is 12 MP, whereas the front camera is 16 MP. This one also has a wide-angle lens in the front camera. The color saturation, autofocus, sharpness, everything is just top notch. The low-light camera performance is also pretty good. The camera takes really good pictures in the ark. However, the low-light photos are still softer than the iPhone 7 Plus. Also, it does not have a portrait mode. OnePlus 5 has one of the best cameras in smartphones in India. It has a dual primary camera of 20 and 16 MP. The front camera is 16 MP. The HDR mode is great. The photos appear really bright. Even in artificial lights, the camera does a very good job. On the downside, it does not have an Optical Image Stabilization. As a result, the camera struggles in low-light photography. The pictures look grainy and noisy compared to the iPhone 7 Plus and the Samsung Galaxy S8. For the same reason, the videos appear shaky as well. So, these are the list of the phone with the best camera. In my experience, Google Pixel XL camera is better than Samsung Galaxy S8 and Apple iPhone 7 plus. So, I would recommend you to buy Google Pixel XL If you are an Apple fan then you can go for iPhone 7 plus. If you found this post helpful then don’t forget to share on Social media and with your friends. If you have any question then you can ask me. 15 Best Appointment Scheduling Apps.